Veronica Cartwright was sent on an interview and she had read the script and met them in Los Angeles for the first time. She had actually read for the part of Ripley, went back a couple of times, met with Ridley Scott for three or four hours, he brought a whole different psychological concept to the thing and he told her about the sort of research on what type of creature it go be, and she started to think about how this thing was possible. She also heard that Tom Skerrit and Yaphet Kotto were in it and thought they're damn good actors and there must be more to this than she was reading into it. And so she happened to be going over to England and thought that she ought to get back in touch with the people. She was British born and so while she was there she said to her agent "did they ever cast that movie? Because I'm over there and might as well see the casting director" and so her agent set up an interview. She was probably lucky that she was British because they had quota systems for how many people could work over there and she fit that quota. She only ever read for the part of Ripley. Then she got over there, saw them again, read with them, reading again for the part of Ripley and when she went home, she found that she got the role, but she was convinced hat she had the part of Ripley. She went back over to England, and then got a call and they said to her "okay, you'll need to come in for your wardrobe for Lambert"
"Oh no, there has to be some mistake", she replied " I'm not playing Lambert, I'm playing Ripley"
But then she was told "No, you're Lambert"
She replied "I've always read for Ripley, I’ve have never even looked at the script from the point of view of Lambert". So then she called her agent "Aren't I doing Ripley?" So she said, "Then why am I playing Lambert? Because all it looked to me was… all she did was cry,"
This character drove Veronica in the wrong direction for herself but the agent didn't appear to have an answer to that. The whole confusion drove her to the worst edge of her temper which was understandable. "Well" Veronica added, "I'm gonna have to re-read this script because I haven't even looked at Lambert's point of view!" She thought "No, no, this is not for me"
How this confusion about the roles happened is something that has become lost. Veronica at the time was a much more known as an actress because of her role in the remake of Invasion of the Body Snatchers rather than someone to be overlooked. And since Veronica wanted the role of Ripley, we might reveal that Sigourney would rather have played Lambert because the first version of the script that she read. Lambert was a woman wise-cracking all the time when everyone else was going hysterical and she didn't crack up until the end. This was more of a character that Sigourney would identify with because that was how she assumed she herself would act. If ever she got stuck in an elevator, that's what she would do. But later the characters changed when they decided to give viewers a sympathetic character. When Veronica read the script from Lambert's point of view and talked to the producers, they said "well actually, she’s the audience. It’s from her point of view basically that the audience is looking through"
And so Lambert would become this. She was the one who sort of said, "Let’s draw straws, let’s get the hell out of here, what are we doing sticking around?" Soon news came through from Gordon Carroll to Ridley Scott "God there's a huge misunderstanding that occurred today"
How it occurred, who knows, perhaps it was it an error due to a typo in Ridley's front office where they would send all the letters and Ridley would tell them who he wanted for this role and who he wanted for that role and he knew that he wanted Sigourney for the role and why. However Veronica put the whole thing down to politics going on during the making of the movie, and the fact is was Sigourney's big job with the fact that her father was a 'bigwig' and there were a lot of favours going on. And the film had got bigger than anybody planned, so studio pressure and egos had the last word. Cartwright: Because I got auditioned in L.A. the first time, and then I happened to be going over to England, I’m British, I was born in England, and so while I was over there I said to my agent, ‘did they ever cast that movie? Because I’m over there and might as well see the casting director.’ And I think I was probably lucky that I was British because they've quota systems for how many people can work over there, so, I worked, you know, I was, I fit that quota. Interviewer: didn’t have that role until you showed up for costume dressing? Cartwright:I, I get a call, I go over there , I get a call and they said, ‘okay, you need to come in for your wardrobe for Lambert’. ‘No no… you're, you're, you’re Lambert’. Interviewer: How did you first come across the Alien project? 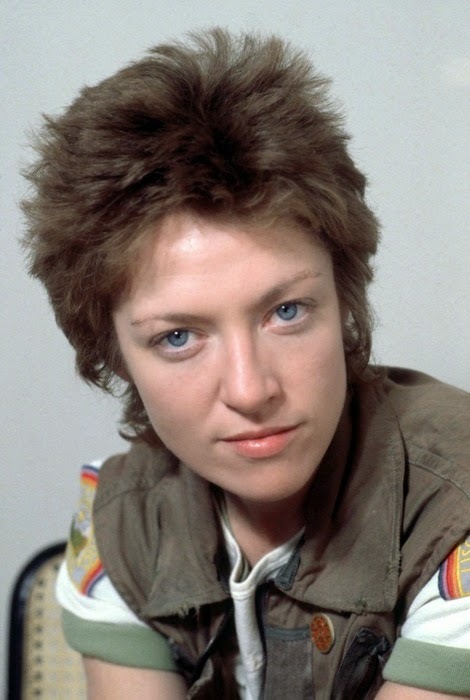 Veronica Cartwright: I first got in touch with Alien, I was sent on an interview and I had read the script and met them in Los Angeles for the first time. And I had actually read for the part of Ripley, when I read, and I think I went back a couple of times and met with Ridley Scott and then I happened to be going over to England and I thought, well if I’m going over there I might as well see about getting back in touch with them and so my agent set up an interview, I think it was Mary Selway that was casting it. And I made an appointment and I went back in and saw them again and read with them and then ended up coming home and then I ended up getting it. But I thought that I was - actually when I got it I thought I was the part of Ripley, so when they took me back over to England, and said that I would be going in for wardrobe for Lambert, I said, oh there has to be some mistake, and they said, no. And I said, but I’ve always read for Ripley. And so I called my agent and I said aren’t I doing Ripley and he goes yeah. Cos that’s the only part I’d ever read for. So I said, well I’m gonna have to re-read this script because I haven’t even looked at Lambert’s point of view! And I guess Lambert sort of ended up being the voice of what the audience was feeling at the time. She was the one who sort of says, let’s get out of here, what are we doing sticking around? And I guess she expresses the fears of the audience. Interviewer: Did you know Sigourney Weaver wanted to be Lambert? Interviewer: confusion with Veronica Cartwright and Sigourney about who was reading for what – how did that all happen? 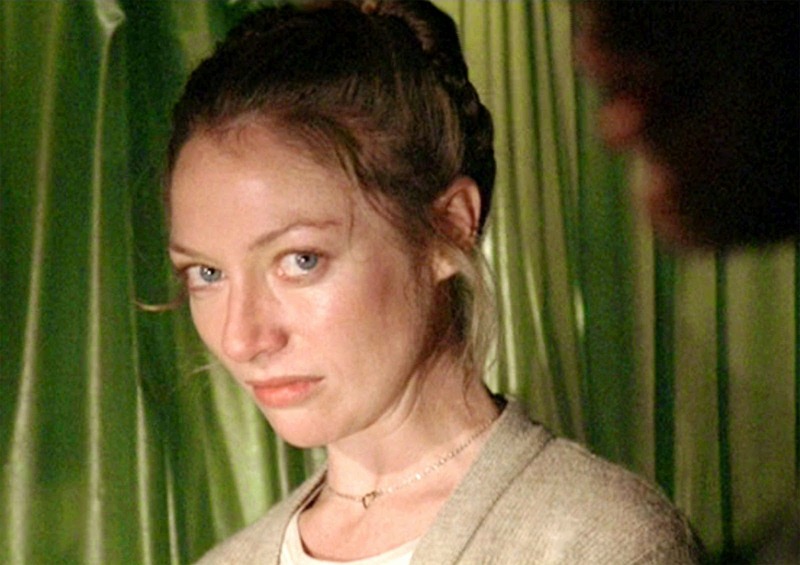 Veronica Cartwright: At first I didn't want to do it. Then I met Ridley Scott and be brought a whole different psychological concept to the thing. So I went back and re-read the script. And then I heard Tom Skerrit and Yaphet Kotto were in it. And I thought they're damn good actors and there must be more to this than I'm reading into it.